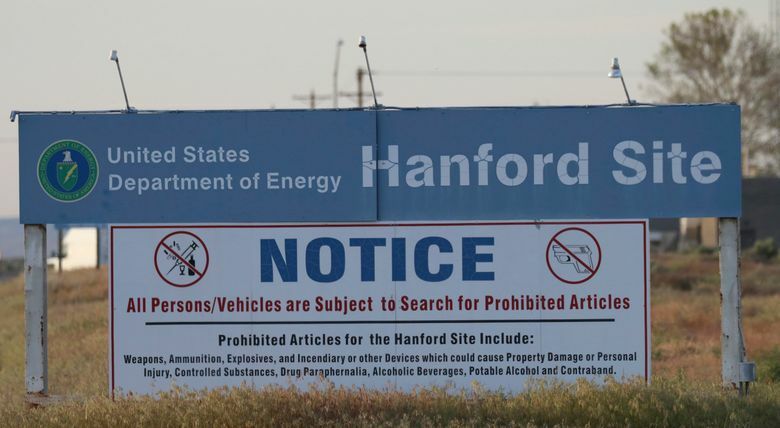 A federal Energy Department spokesman said surveys did not find any signs of a release of radioactive contamination, and the take-cover order was lifted at 12:15 p.m. 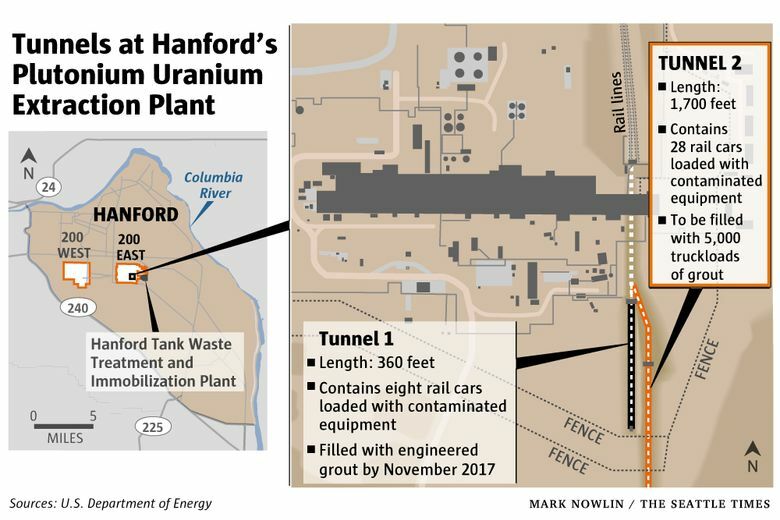 Hundreds of Hanford nuclear-site workers took shelter Friday after steam leaked out of an aging tunnel that holds radioactive waste and is at high risk of collapse. Since late September, crews have been pouring grout into the tunnel to stabilize it, and federal Energy Department officials say the steam resulted from the curing process as the material dries. An Energy Department spokesman said surveys did not find any signs of a release of radioactive contamination, and the take-cover order was lifted at 12:15 p.m.
Mark Heeter, a Richland-based spokesman for the Energy Department, said the tunnel has a filtration system, but steam leaked out in another area. By Friday afternoon, workers could no longer see the steam leaving the tunnel, he said. The nearly 1,700-foot-long tunnel — built in 1964 — is the larger of two tunnels that have received increased scrutiny due to concerns about the potential for cave-ins that could result in serious radioactive releases. The other smaller tunnel partially collapsed in May 2017. Though no radiation release was found, the incident triggered a take-cover for workers, and led to a grouting effort to shore up the structure completed last November. The tunnels hold rail cars loaded with contaminated equipment from a processing complex that used chemicals to extract plutonium — for use in nuclear weapons — from fuel rods at the federal site established during the Manhattan Project during World War II. The radioactive contamination is so severe that workers can’t go into the tunnel to inspect the structure. They used remote cameras to assess its condition. The grouting work on the second tunnel is expected to continue into the winter.